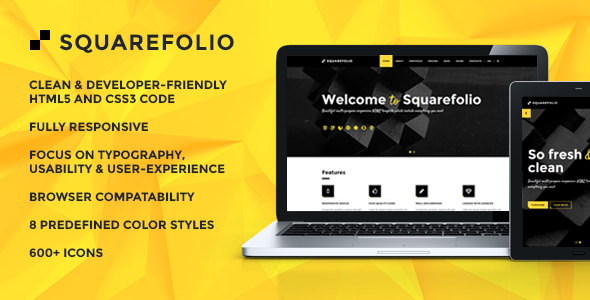 Squarefolio is a powerful html template created with attention to details. All elements of the template designed to look modern and at the same time be simple and user-friendly. This template is very flexible and suits for any type of website, whether it’s a blog, portfolio or company website. It’s well coded and has detailed documentation, so it’s easy to use and customize. Squarefolio has fully responsive layout and looks great on any device.